Geospatial datasets housed at the University of Washington Libraries have been migrated from shapefile format to storage within PostgreSQL database accessed through ESRIs Spatial Database Engine (SDE). Specific spatial datasets are organized based on geographic extent or source agency. Using the links in the sections below, spatial data can either be directly loaded into ArcGIS Desktop as a layer or downloaded as a zipped file in another format. Below are examples of the different data formats. Lists of datasets are hidden in collapsible sections, click on the purple arrow to expand or collapse the list of datasets. Spatial datasets for the University of Washington such as building outlines and other layers. Spatial datasets available in the Maps Library originated from cities within the State of Washington. Some datasets are avalible for direct download while others can be copied from the physical media. GIS data from City of Kirkland (2008) is stored on CD format and is avaible to student, faculty, or staff person of the University of Washington. You are welcome to visit the Map Collection and use one of our lab PCs to view and copy the datasets you need or request data layers from the disc by emailing uwlib-gisatlib@uw.edu. City of Seattle provides data through 'city wide base layers' and other thematic layers listed below. Seattle Urban Nature (SUN) is a non-profit organization dedicated to enriching the quality of life in the Puget Sound region by engaging communities to improve urban forests. The dataset was constructed from a 2000 survey (based on field surveys and aerial photography) of 7,800 acres of publicly owned space in the City of Seattle in order to identify and map plant and wildlife features. The dataset was originally published on CD-ROM in Sept 2002. 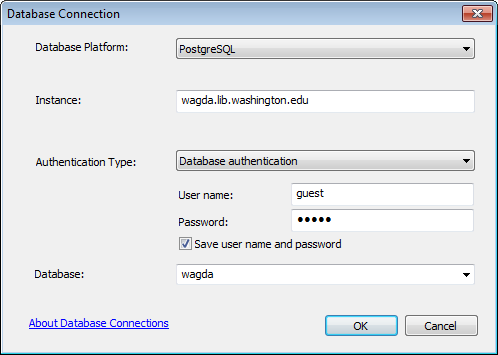 WAGDA is hosting the SUN data for educational, non-profit, and non-commercial use for members of the UW community and can provide this data by request per the terms of the license agreement. Data users shall cite this data as: Seattle Urban Nature Habitat Data [geodatabase]. 2002. Seattle Urban Nature, Seattle Washington. To request the SUN dataset, please email uwlib-gisatlib@uw.edu. We will post a zip file containg the requested dat to our FTP site. GIS data from City of Shoreline (2007) is stored on CD format and is avaible to student, faculty, or staff person of the University of Washington. You are welcome to visit the Map Collection and use one of our lab PCs to view and copy the datasets you need or request data layers from the disc by emailing uwlib-gisatlib@uw.edu. Spatial datasets from counties within the State of Washington available in digital format. Some spatial datasets are directly downloadable while others are only available from the physical media. Use of Chelan County geospatial data is restricted to currently enrolled University of Washington students and current faculty and staff for educational and non-commercial/non-profit research uses. Data layers from Chelan County were obtained in January/February 2009. GIS data from Clark County is available through the University of Washington Libraries ResearchWorks for students, staff and faculty using a computer connected to the UW network or logging in using a UW NetID. Questions about the data or accessing the data can be emailed to uwlib-gisatlib@uw.edu. Since 2010, King County has been providing its GIS data to the public, free of charge through the King County GIS Data Portal. Please visit: King County GIS Data Portal to obtain the most recent copy of the geospatial datasets. Below you will find a collection of older datasets which King County no longer maintains or distributes. The Map Collection also has old GIS data from King County dating back to approximately 1992. These discs contain various layers. If you would like to explore these datasets, please come into the Map Collection and ask about these discs. GIS data from Lewis County (2007) is stored on CD format and is avaible to student, faculty, or staff person of the University of Washington. You are welcome to visit the Map Collection and use one of our lab PCs to view and copy the datasets you need or request data layers from the disc by emailing uwlib-gisatlib@uw.edu. GIS data from Mason County (2007) is stored on CD format and is avaible to student, faculty, or staff person of the University of Washington. You are welcome to visit the Map Collection and use one of our lab PCs to view and copy the datasets you need or request data layers from the disc by emailing uwlib-gisatlib@uw.edu. GIS data from Snohomish County is stored on CD format and is avaible to student, faculty, or staff person of the University of Washington. You are welcome to visit the Map Collection and use one of our lab PCs to view and copy the datasets you need or request data layers from the disc by emailing uwlib-gisatlib@uw.edu. GIS data from Stevens County is available through the University of Washington Libraries ReferenceWorks for students, staff and faculty using a computer connected to the UW network or logging in using a UW NetID. Questions about the data or accessing the data can be emailed to uwlib-gisatlib@uw.edu. GIS data from Thurston County is available through the University of Washington Libraries ReferenceWorks for students, staff and faculty using a computer connected to the UW network or logging in using a UW NetID. Questions about the data or accessing the data can be emailed to uwlib-gisatlib@uw.edu. GIS data from Yakima County is available through the University of Washington Libraries ReferenceWorks for students, staff and faculty using a computer connected to the UW network or logging in using a UW NetID. Questions about the data or accessing the data can be emailed to uwlib-gisatlib@uw.edu. Base datasets for the United States supplied by ESRI in the Maps and Media package. Census geodatabases, metadata, and doumentation are available here for download. Metadata and the quick reference table can also be viewed directly via links on this page. If you need help with definitions for Census Bureau variables or geography, consult the American Factfinder Glossary for summary information or download the full documentation for 2010 SF1, 2000 SF1, 2000 SF3, 1990 STF1A or 1990 STF1B, 1990 STF3 from the Census Bureau's website. Vector base datasets for individual countries. Base datasets for the World supplied by ESRI in the Maps and Media package. From on campus, you can use the username "guest" with anything as a password.